Dakota Johnson plays Alice who starts the film off by taking a break from her long- term college boyfriend, Josh, played by the boyish Nicholas Bruan. (As everyone knows, and the movie reminds us, there’s no such thing as a break Season 3 Ross.). 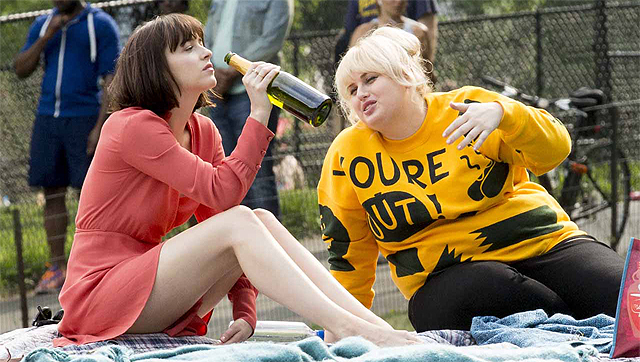 She starts a new job as a paralegal and meets the hilariously bold, Robin, played by scene -stealer Rebel Wilson. Robin sets out to show Alice the ropes on how to be single in New York. Along the way, the film introduces viewers to a number of side stories that don’t feel like side items at all. The journey through single life introduces her to a number of guys, including those played by Damon Wayans Jr. and Anders Holm. Alice’s older sister is played by the always brilliant Leslie Mann. Lastly, Alison Brie shines as another single lady desperately looking for love in all the wrong places. About half way through this movie I started to get a little angry. I felt like I was watching another movie that portrayed itself as a symbol of female independence, but the whole time Alice was searching for someone to make her whole. My heart and my head started to battle a bit. I was upset because it seemed the message was “Again- really? It’s ok to be single but really they mean it’s ok to be single only while searching for Mr./Ms. Right.” At the same time I was feeling all the feels right alongside Alice. You want to believe in love. Then it took a turn and the movie’s title started to ring true. I left completely satisfied. 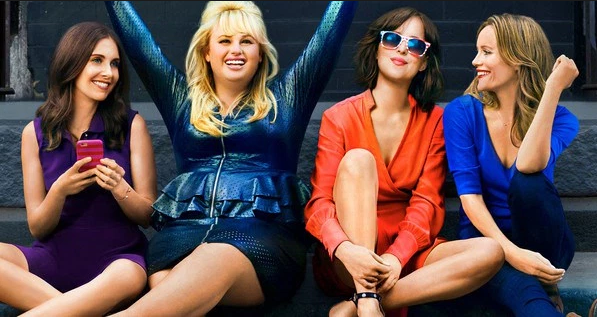 How to be Single has plenty of characters and relationship models to identify with. No matter if you’re a best friend, single, dating, married, divorced, widowed, looking for a soulmate, have a kid, want a kid, hate kids or simply on this earth to love yourself… this movie has something for you. This entry was posted on Friday, February 12th, 2016 at 10:48 am	and is filed under Film, News. You can follow any responses to this entry through the RSS 2.0 feed. You can skip to the end and leave a response. Pinging is currently not allowed. « We’ve Got The Trailer For ‘The Huntsman Winter’s Tale’ starring Emily Blunt!! !